Traveling with kids is always an adventure. We compiled a list of some ideas and go-to products for your next trip over the river and through the woods. Whether it’s a long car ride, flight or a hotel stay, we’ve got you covered. ebags – Packing for a vacation for a family of five should be an Olympic sport. We used to carefully pack everyone’s clothes in the suitcase and after approximately 3 hours in the hotel, everything would be jumbled up. 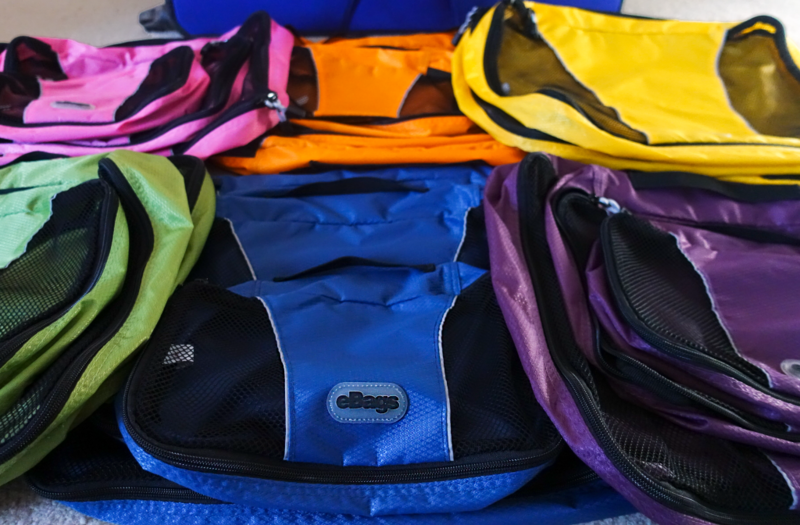 We’ve mentioned these eBags packing cubes before, but they literally are a lifesaver when packing for families. We have a different color 3 piece set for each family member and it makes living out of a suitcase much more bearable. 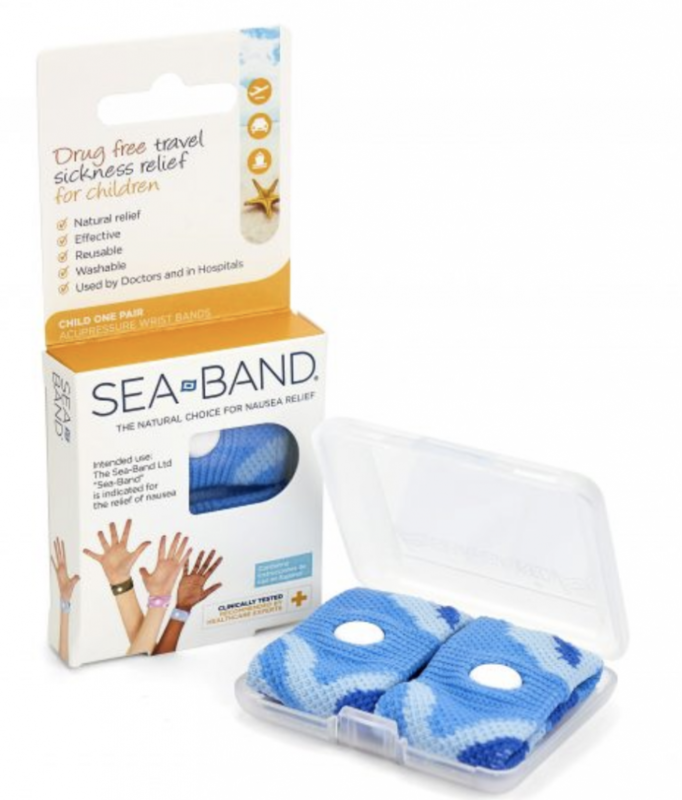 They come in different sizes and colors and you can easily move them around in the suitcase or between suitcases and still keep everything organized. We use the smallest size for underwear and socks, medium size for jammies and swimwear and the largest size for shirts and pants. You might need additional ones depending on what you’re packing but we’ve been able to squeeze a bunch in the 3 piece sets. Headphones – If your kids have their own electronic devices, have a set of comfortable headphones for each of them. Nothing adds stress to a car ride like dueling princess video and video game sounds from every corner of the car. Podcasts – We try to take a break from the screens after a while and turn on a podcast. 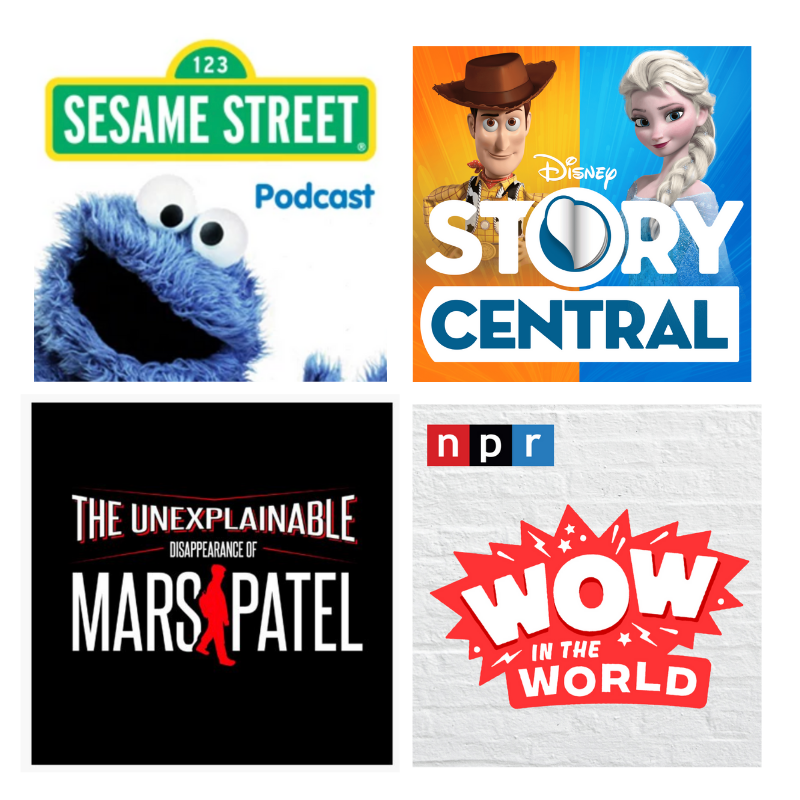 For younger children there are Disney Story Central Podcasts where they can hear their favorite Disney characters come to life in familiar Disney stories. Our youngest also enjoyed listening to Elmo, Cookie Monster and Big Bird in the Sesame Street Podcasts . All three of our kids ranging in ages from 5 to 11 really like the Wow In The World podcast series. Two animated hosts lead listeners on a journey to explore the world around them. They focus on one or two topics each episode and explain how different things work or why different scientific phenomenons occur such as why onions make you cry or what is coral bleaching. The energy of the hosts and neat sound effects definitely hold your attention throughout the episode. The Unexplainable Disappearance of Mars Patel In this series, a group of middle school students mysteriously start disappearing around school. Friends of the missing kids ban together to try to figure out where everyone is going and how to get them back home. It’s described as “Goonies meets Spy Kids meets Stranger Things for 8-12 year olds.” Our 9 and 11 year old boys are currently hooked on this series. We try to remember to have everyone’s device fully charged before the trip, especially for flights, but inevitably someone has forgotten and we are handing out charger cables right and left. This device charger is grhttps://amzn.to/2WwaMACeat because it plugs into a cigarette lighter and has two spots for cables. Extra cables are also good to have on hand. We use one of the small e-bags to throw all of the charger cables and chargers in so we can easily transport them from the car to the hotel room. 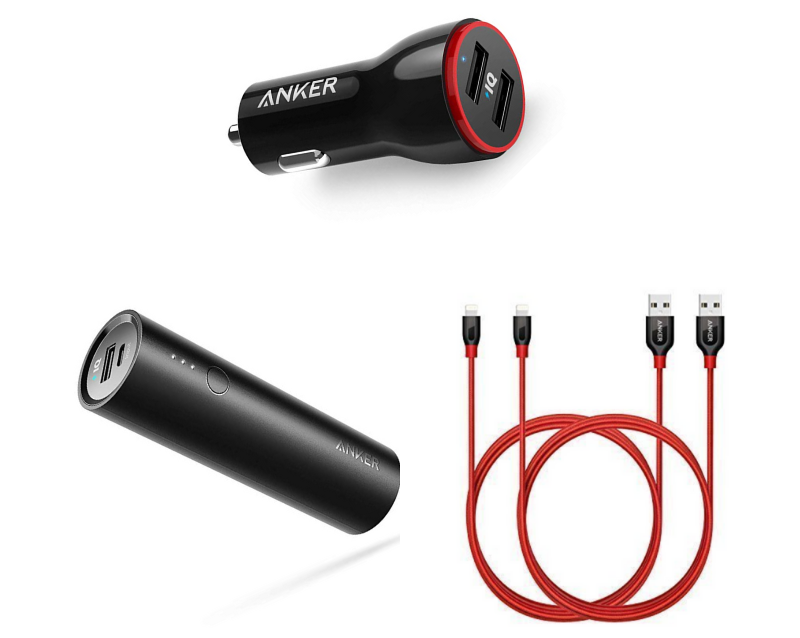 This Portable Charger (bottom left) is perfect as a back up for flights or out on your adventures. If you’re spending all day out site seeing it can provide up to 2 full charges depending on the phone or device. As much as I love the silence of them all on their separate devices, I try to have them unplug for a while and read, draw, rest, look out the window (remember the good old days ya’ll?!) 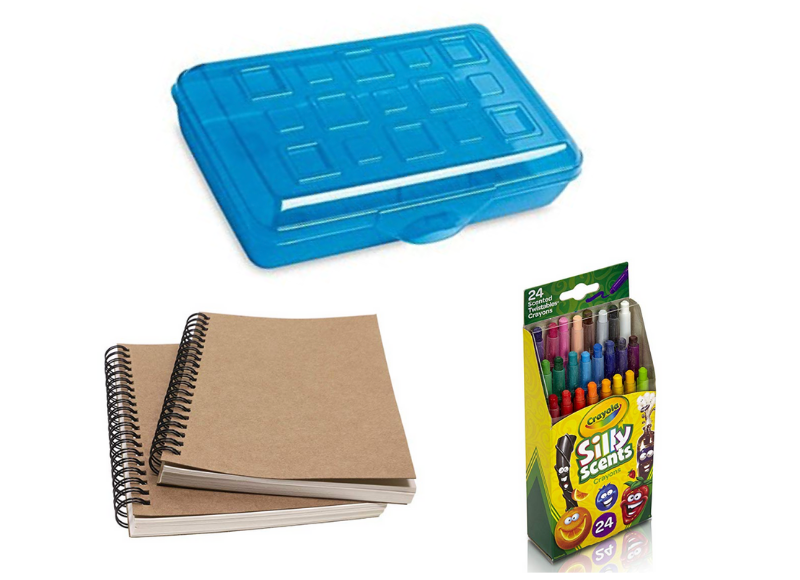 We fill little plastic pencil boxes with toys, stickers, markers or crayons and a little notepad or spiral. They love doodling and the plastic boxes keeps everything together so you can easily transport it in to the hotel, plane, etc. with you. You can also add stickers or little toys or figurines. You could probably find most of this at the dollar store, Walmart or Target. 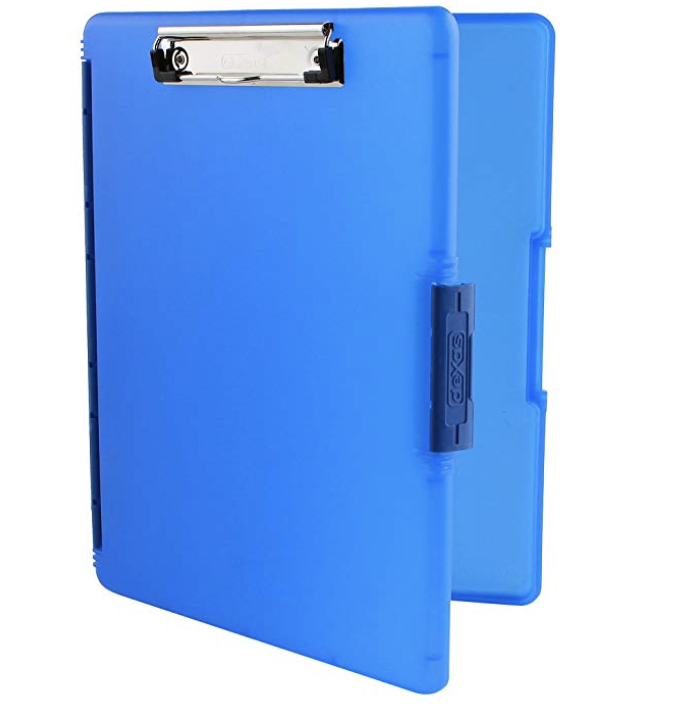 These Clipboards are also great for on the go. They can open up to store things like homework, coloring sheets, stickers, crayons. 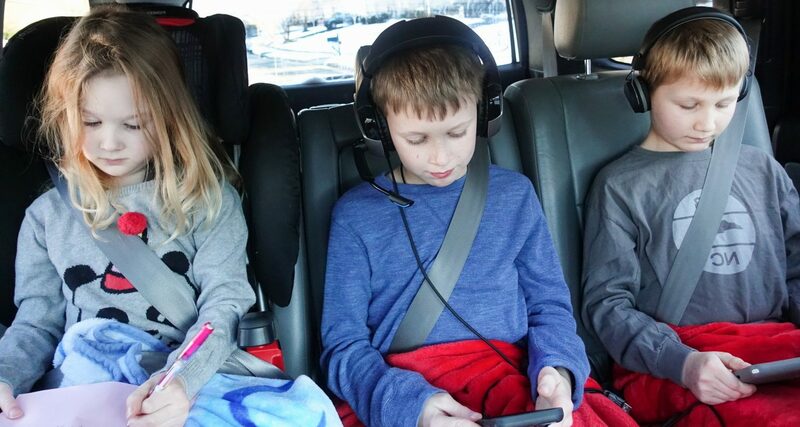 We always travel with one travel blanket per kid. They usually use them in the car on long trips but also use them in the hotel as their comforter. It’s so much easier than dealing with tugging blankets when they need to share a bed. There are sooo many to choose from online and at stores like Target and Walmart. There are character ones like this star wars blanket and this Moana blanket or solid color ones like these travel blankets we found on Amazon. These are such a helpful item when traveling. Trying to get three kids to sleep in the same little hotel room or guest bedroom is not easy. These little noise machines help drown out the surrounding background noise and make bedtime when traveling a little easier. 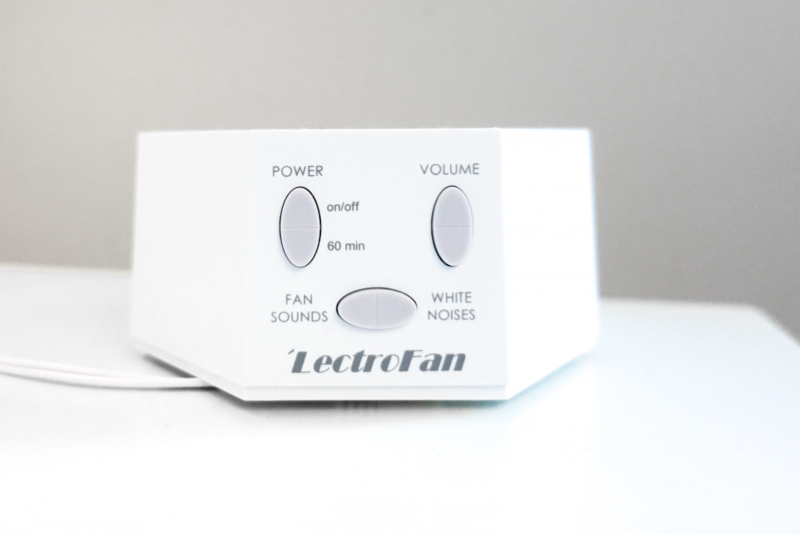 The LectroFan is the standard size and the LectroFan Micro is the travel size version of this little noise machine. It has a bunch of different fan and white noise sounds to choose from. 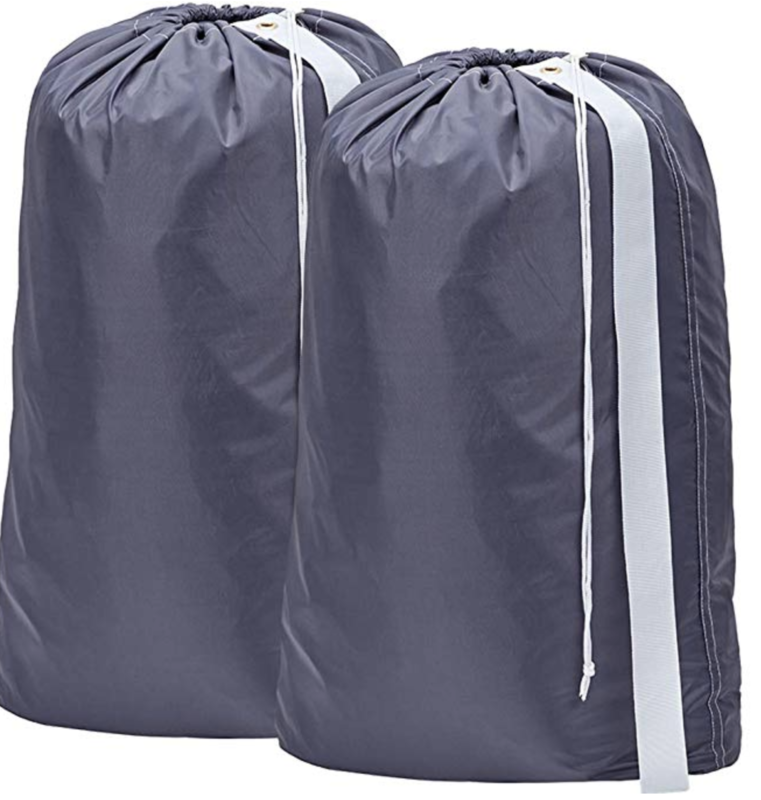 Ok i’m going to be honest with you, we usually throw some garbage bags in the suitcase and use those as dirty laundry bags, BUT when we were in Boston I saw a man in the lobby carrying one of these out to his car. And I thought … eureka that is genius! They will be coming with us on our next trip. It not only gives you a place to throw all of your dirty laundry, it is perfect for transporting it to the hotel laundry facility to wash the laundry if you are staying for an extended period of time. We usually research if the facility has laundry machines if they take quarters, dollars, etc. It’s much easier to get a roll of quarters, pack a few detergent pods and dryer sheets or whatever you use and bring that with you then figuring that out while on property. Even if you don’t plan on doing laundry at the hotel, you can easily store the dirty laundry and separate it from your clean laundry for the trip home.